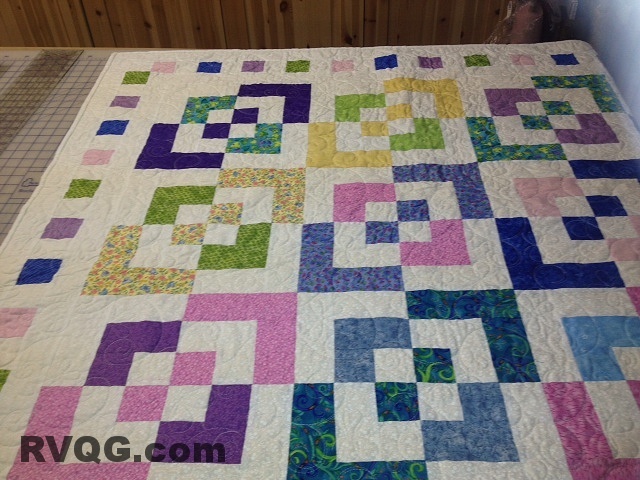 You can make your quilt in any size. The workshop will be held on Saturday, October 26, from 9:30 am to 3:30 pm. The class location will be the new Log Cabin Yardage store, 425 Whitevale Road, Whitevale (just north of Pickering). Please see the map below for directions. Class cost is $25, and Workshop Co-ordinators Liz and Linda will be accepting sign ups starting at the General Meeting on September 23, 2013.